Every day we go to the farmers market to pick up fresh food for our animals. The farmers are happy because we provide a service and the animals are happy because they get a smorgasbord of veggies and fruits. 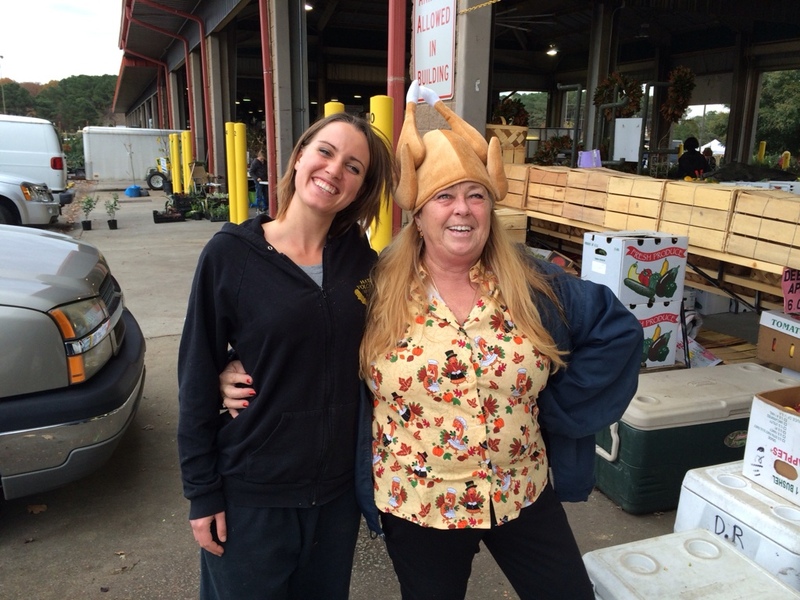 Here we have two of our farmers when we arrived to pick up with some stylish Thanksgiving headwear.